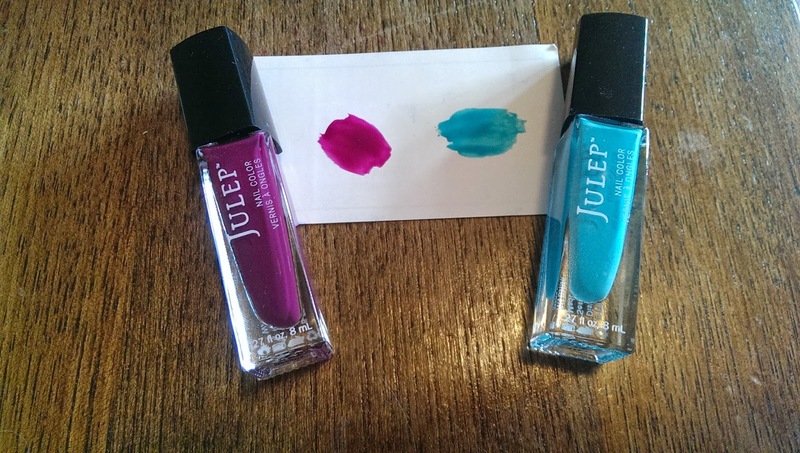 Julep is a monthly nail polish subscription box. For $24.99 US per month Julep will send you 2 nail polishes and 1 other item (beauty product/nail product). If you sign up for 3 months you will get the boxes for $19.99 per month. I'm not signed up on the 3 month plan so I paid $24.99 (with the exchange rate I paid $27.39 Canadian). 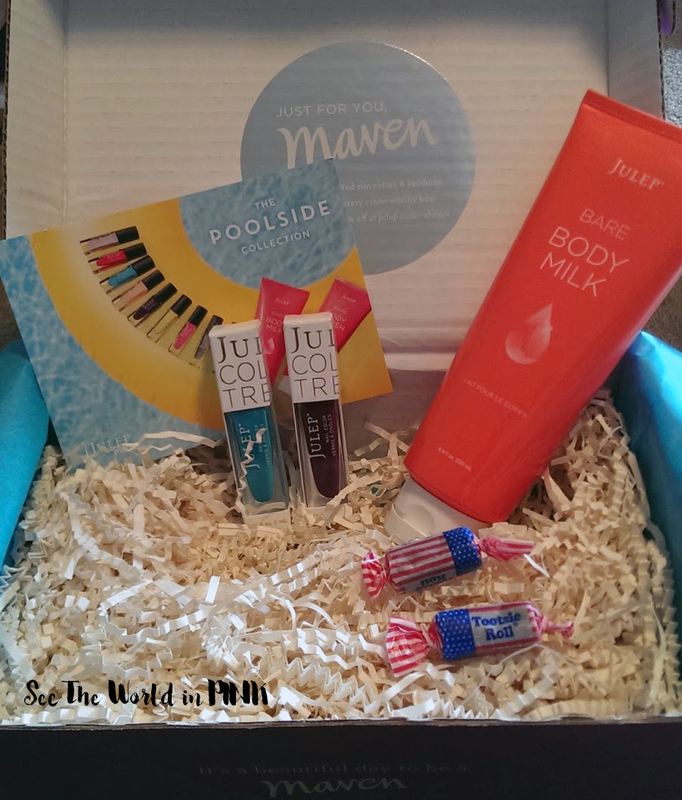 Julep matches you up with a style box each month based on a quiz you take - you can choose to buy the box Julep selects for you or you can choose another box that you prefer! This came with 2 nail polishes and a lotion. I really like both of these colors - they are great for summer and will get used! All Julep polishes are $14 but if you join the maven program you get a discount and they will be $11.40! They are 4 free and i feel that the quality is great - they go on great and sometimes you don't even need a second coat! The third item included in this month's box is: Bare Body Milk ~$24 (for Mavens - $19.20) Described as ultra-hydrating body lotion for thirsty skin. Lightweight and smells fresh - I do really enjoy this and it smells good and is nice and light but moisturizing! So for $27 I received $52 (or Maven $42) worth of items. I am really torn - on one hand I love Julep polishes and the value of the box is great; however, it is pricey to spend $20 on nail polishes every month! (especially when you get other nail polishes in monthly boxes as well!). I already have a huge nail polish collection. I have to decide in the next couple of days if I am going to hang on or cancel my subscription! You can only earn a "box skipping" once every 6 months. Do you get Julep? What did you think of the July box? Wanna follow each other on bloglovin, GFC and g+? Let me know! Thanks! I got my box on Thursday - they must be way delayed in shipping since they gave me 900 Jules for late shipping! Hopefully you got that as well and get yours on Monday at least! It seems like a few boxes this month are having problems with shipping! I just signed up for Bloglovin and am following you :) give me a few days to figure out GFC and g+ and i will connect with you there as well! !